How Can Promotional Mugs Help Your Brand? It’s not easy for a brand to gain visibility and recognition in today’s crowded market. Most industries are saturated with a large number of businesses that vie for customer attention and they use sophisticated marketing campaigns to do that. At Ezy Mugs, we believe in simple and effective solutions and recommend promotional mugs to our customers. These mugs are a great way to catch the attention of your target audience and they don’t require much by way of investment. They have Real-Life Use and Value – Mugs are useful items time. They can be used to drink beverages, hold pens and pencils, or as a desk accessory. Unlike other promotional items or modern marketing strategies, promotional mugs have real-life use and that makes them very effective tools to market your brand. They’re Highly Visible – Promotional mugs are very visible and even if your target audience uses them as a desk accessory, they’re constantly exposed to your brand name and logo. People in their vicinity are also exposed to these mugs and therefore your brand and logo. This helps with brand recognition as your logo and company name would be imprinted in their minds. 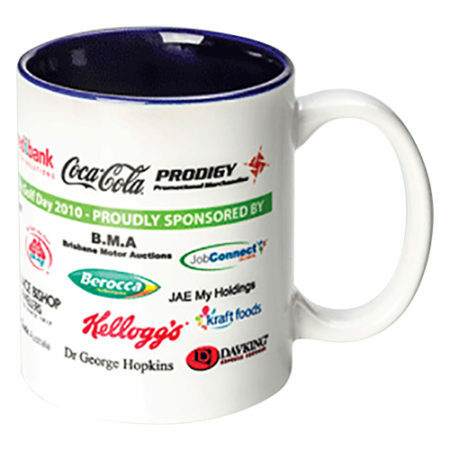 They’re Durable – Unlike other marketing tools, promotional mugs are very durable and don’t require any reinvestment. Once you gift it to your customers, they’ll be exposed to it for several years to some and will passively promote your brand as long as they are intact. Make sure you get the best quality mugs if you intend to distribute them to your customers and business associates. Don’t gift them randomly. You should wait until you have a valid reason to hand out promotional mugs. You can distribute them on holidays, in conferences, conventions, and other such events, or hand them out during product launches or corporate parties. Sell them at your store to increase brand loyalty. Many brands sell items with their logos on them to increase brand value with the customers.